Chief Minister Sarbananda Sonowal speaking at the closing ceremony of Jonbeel Mela at Jagiroad on Saturday. Chief Minister Sarbananda Sonowal on Saturday called upon All Assam Students’ Union (AASU) and other organisations for implementation of the Clause VI of the Assam Accord. Sonowal said that his government is duty bound to protect the interests of the indigenous communities of the state. 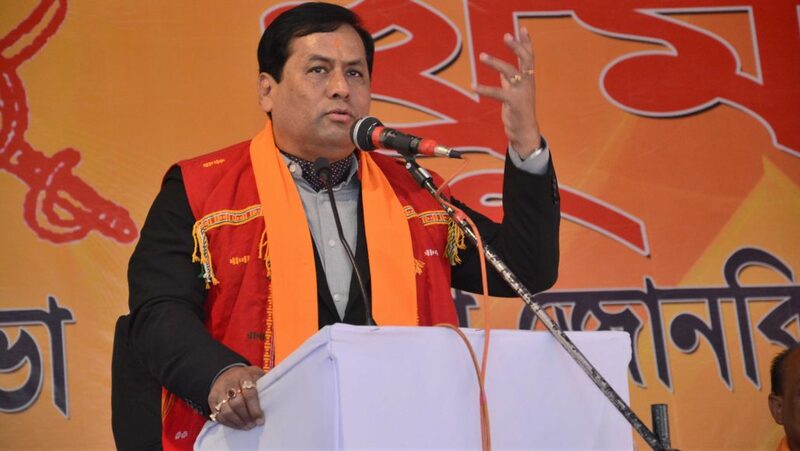 “I have appealed to AASU along with other intelligentsia to lend their full cooperation to look into full implementation of the Clause VI of the Assam Accord which would ensure safeguarding the interests of the ethnic communities of Assam,” Sonowal said at the concluding ceremony of Jonbeel Mela in Jagoroad. He also said that the previous governments both in the state as well as in the Centre only paid lip service to serve the interests of the people of Assam and nothing concrete was done on ground. “However, the present Central Government under the leadership of Prime Minister Narendra Modi took keen interests for the protection of the rights and privileges of the people of Assam. “Therefore, the high-powered committee has been constituted to suggest ways and means for the complete implementation of Clause VI of the Assam Accord to ensure appropriate constitutional, legislative and administrative safeguards to protect, preserve and promote the cultural, social, linguistic identity and heritage of the ethnic Assamese,” he added. He further reiterated that for facilitation of local people’s rights over lands, his government has already distributed land pattas to small tea growers and this year land pattas to 1 lakh landless people of the state will be given which would ensure rights of the indigenous on bheti that is hearth. Sonowal said that certain sections of the people in the state are spreading propaganda on the proposed Citizenship Amendment Bill 2016 saying that if the bill becomes an Act, Assam will become breeding ground of illegal migrants. He said that the proposed bill was brought to the Parliament for the entire nation and simply passing the bill will not warrant citizenship right to the people. “So the information building around the bill was baseless,” he added. The Chief Minister maintained that he has been made the Chief Minister by the people of Assam and he will not allow his government to do anything which would go against the people of Assam.